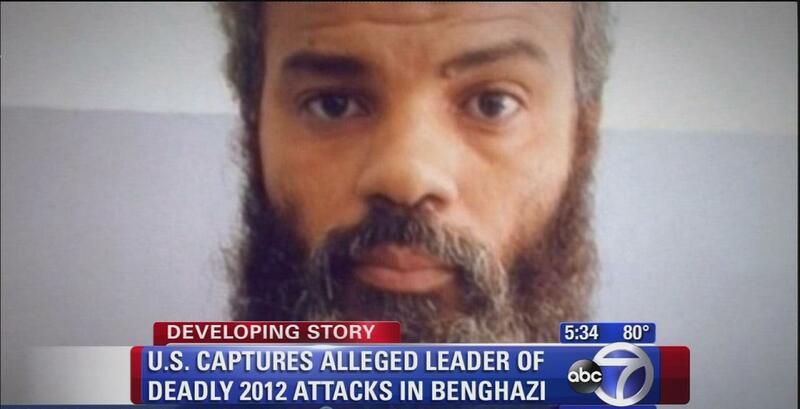 FOX NEWS – A federal jury found Ahmed Abu Khattala guilty on just three of 18 charges related to the deadly 2012 attack on the U.S. consulate in Benghazi, Libya, precluding him from facing the death penalty. Khattala was found guilty of conspiracy to provide material support to the attackers, destroying U.S. property and placing lives in danger, and using a firearm during the attack. He faces up to 45 years in prison if given the maximum sentence on all charges. The verdict brought an end to a trial that had been one of the most significant terrorism prosecutions in recent years in a U.S. civilian court, even though the Trump administration had argued such suspects are better sent to the military prison at Guantanamo Bay, Cuba. The initial attack killed at the U.S. mission killed Chris Stevens, the American ambassador to Libya, and Sean Patrick Smith, a State Department information management officer. Nearly eight hours later at a CIA complex nearby, two more Americans, contract security officers Tyrone Woods and Glen Doherty, died in a mortar attack. Prosecutors had claimed that Khattala had planned the ambush for at least a year and served as the “on-scene commander” for a band of armed men who stormed the complex. Defense attorney Michelle Peterson described Khattala as a “Libyan patriot” who fought on America’s side in the war against the late Libyan dictator Muammar Qaddafi. She described Khattala as a deeply religious man who believes in conservative sharia law as outlined in the Koran, which “is not the same thing as terrorism,” she said. Peterson also cast doubt on the government’s witnesses, in particular an informant who was paid $7 million to befriend Khattala, help the government gather information on him and arrange his capture. The informant helped link Khattala to the attackers, and prosecutors said they are seen on grainy surveillance video milling about the complex with guns. Among other people whom the informant identified was Mustafa al-Imam, who was captured last month and awaits trial in the same federal courthouse in Washington. This should have never ended up in civilian court in the first place, but that’s where Obama wanted it and I’m sure he and Holder are happy that this Islamonazi thug will probably be out of prison in 20 years.